I up and went to Nashville last weekend! I had never been to the city but my boyfriend travels there often for work and always told me how awesome it is - I was always jealous until I was left with a few extra PTO days from work this year and I decided to fly out to meet my bae on one of his work trips and we extended our stay into a long weekend full of fun! Suffice it to say I think I ate and drank my way through Nashville in four days but I had the BEST time and wanted to share some of the cool places I visited in case you ever find yourself in the city. I flew out Thursday morning and took taxi from the airport downtown (only $25) to the hotel that my boyfriend's work was putting him up at - The Hilton Garden Inn Vanderbuilt which was a really nice hotel. I unloaded my bags, had some lunch I had packed from home and settled in for a bit until it was about 1:30PM and my boyfriend wasn't done work until 5....so I decided to take myself out exploring! 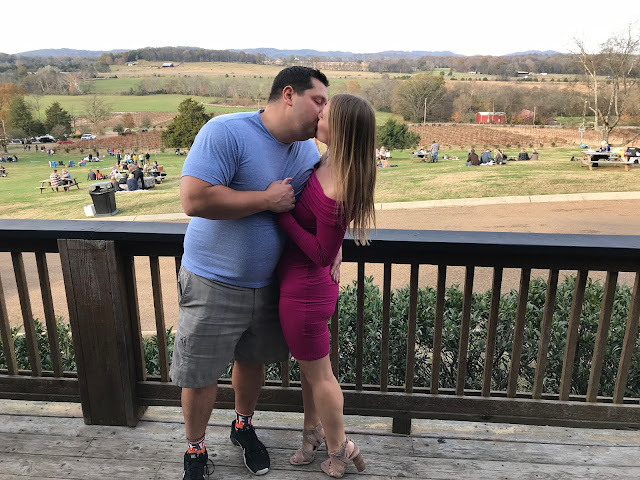 Me being me, my first thing to explore was the local wineries in the area ;) My first stop was to the Belle Meade Plantation which once was a mansion and 5,400 acre thoroughbred horse farm back in the day. I paid $15 to do a walking tour of the grounds which included a tasting a their winery on site! The grounds really were beautiful and I took home a yummy blackberry wine but I have to say...$15 to just walk around a bit and get to sample 4 tiny samples of wine seemed kind of steep to me. Go and check it out for sure if you are a history buff and want to get away from some of the hustle of the city, but this was one stop I would probably skip over if I did everything all over. My next stop was just an uber ride back towards the city to try Grindler's Switch Winery. 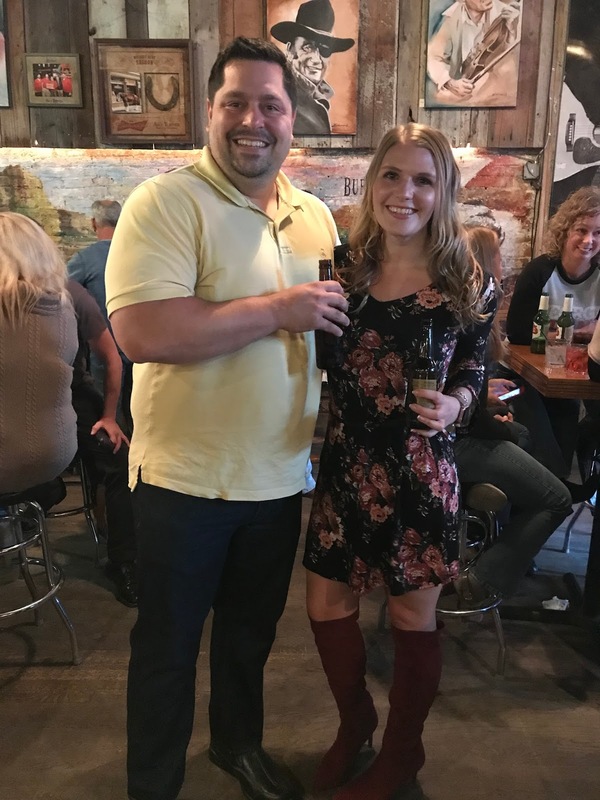 The true winery location is located about an hour outside of Nashville but they have a tasting room in Marathon Village which is a set of cute little shops (including a distillery and store from American Pickers!) right in the city. I had a much better experience here. They had a few different tasting options but I chose to try all of their wines for $8 which was then waived if you bought three bottles of wine (which I did to take some home!) The employee doing the tasting was very friendly and personable as well as everyone else in the tasting room - it was a great stop for sure. After the tasting I decided to just walk the mile back to my hotel: I found Nashville as a whole to be a very walk-able city and when it was too far or too cold to walk - uber and lyft were really cheap. I finally got to meet up with my man when he got done work :) And we went out to explore some more of the city for my first night there! 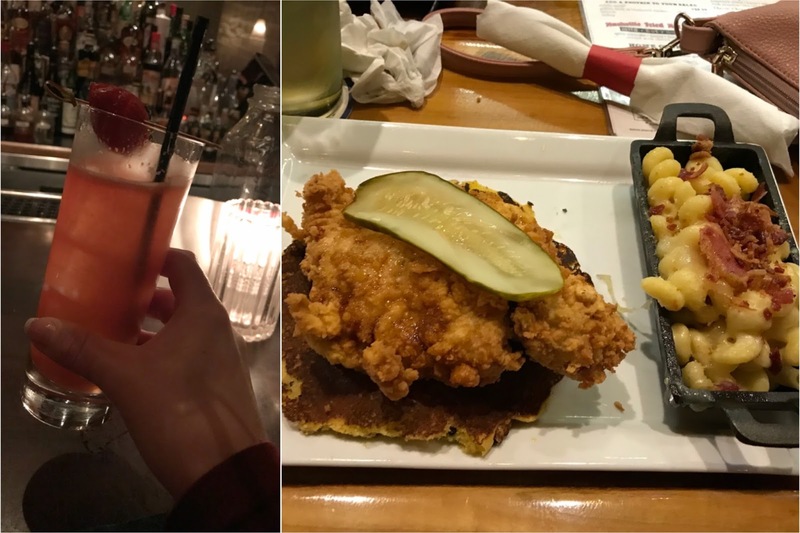 We stopped in a few different places including The Tavern for an appetizer and some sangria (bae always comes here and orders the buffalo cauliflower while staying in town for work). Yummy drinks and great atmosphere in here - highly recommend! We also wandered into Slider House for a cider quick since it was close by. The BEST drink I had in Nashville all weekend though was at The Patterson house. This is a swanky little lounge that makes AMAZING cocktails. I wasn't entirely sure what to order so I told the bartender generally the types of drinks I like and she actually made me a cocktail that had been on their menu over the summer. I really have no idea what it was: there were literally 20 different ingredients that went into it but one of them was champagne and it came out pink and topped with a strawberry and tasted FABULOUS. Hefty prices on drinks and it's not too big inside: we got there early around 5:30 and had no trouble getting a seat but it was starting to get very crowded by the time we left. I would definitely recommend this place for drinks though! And if that was the best drink I had all weekend...I think the best meal I had was also that same night! Nashville is famous for Southern Hot Chicken (spicy fried chicken) and although Hattie B's is one of the most famous hot chicken establishments we went to The Row and had a FABULOUS experience. I don't like spicy food so I just got regular fried chicken and it was served on top of CORN PANCAKE and I had a side of BACON MAC AND CHEESE. Obviously my most healthy meal of the trip ;) But it was so worth it. This was a great restaurant too: they have live music every night and we sat at the bar and had a great time listening to some country music while gorging ourselves on fried chicken deliciousness. I ran about 3/4 mile down the street from the hotel to Centennial Park which had a 1 mile running loop. This park was BEAUTIFUL - even if you are not a runner I would suggest stopping by! There was a little pond with really pretty greenery and some ducks around the one mile running loop but the coolest thing by far is that there is a full size replica of the Parthenon in the park! 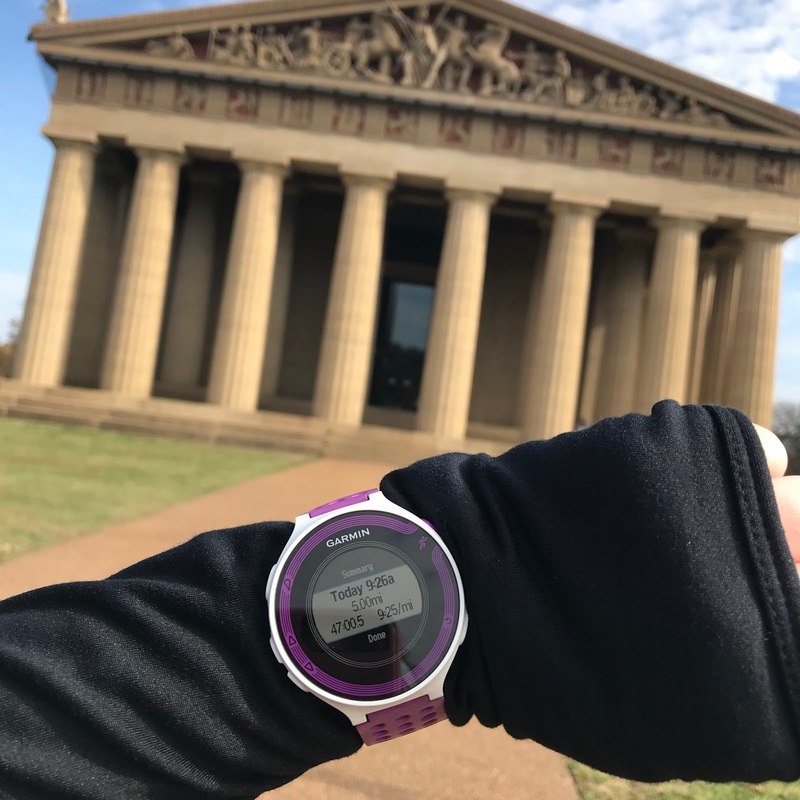 Pretty crazy running through Nashville and then all of a sudden BAM you are in a park and then BAM again there's a Parthenon. Woah! After my run I headed back to the hotel and warmed up (we visited the second weekend of November and it was COLD out in the mornings already!!!) with a very long hot shower and took my time getting all prettied up before heading out to do some more exploring. I took a 10 minute uber ride over to the 12 South Neighborhood and I'm soooo glad I did. This was such a cute little part of the city! There are lots of restaurants and shopping and photo-ops with some classic Nashville signs in this part of town. 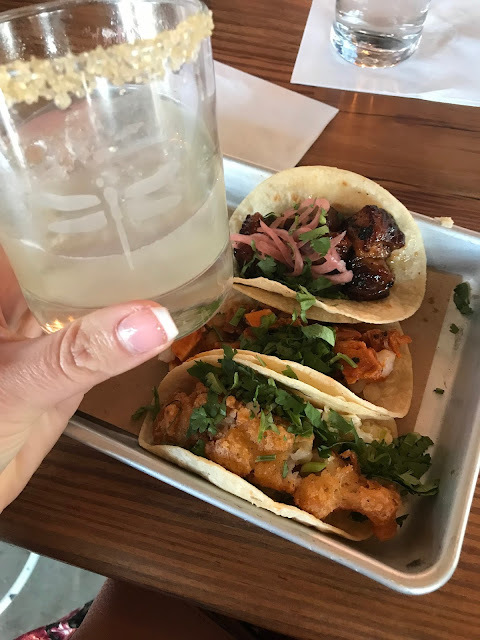 I got a few recommendations on my instagram page to check out Bar Taco and it was well worth the recommendation. I sat at the bar and ordered a margarita (so fresh and well made) some plantains, a small side chopped salad, and then three different mini tacos. I got a fish, chicken and pork belly taco and the pork belly was just to DIE for. Everything was so fresh and flavorful, for taking myself out for lunch I really had a great time and meal here. Even though I had a pretty big lunch almost immediately after walking out of the restaurant I found a CUPCAKE ATM from Sprinkles cupcakes!! I mean, obviously I had to get a cupcake. 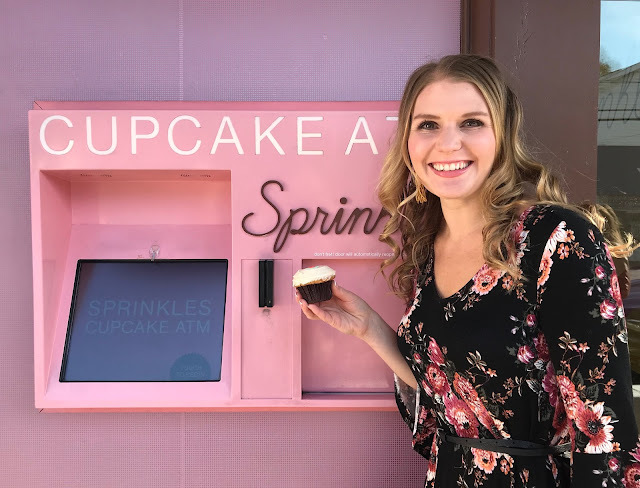 WHO KNOWS WHEN I WOULD EVER FIND A CUPCAKE ATM AGAIN!!! I got a carrot cake cupcake and ate every bite happily. I was feeling pretty content at this point - just taking myself out for margs and tacos and buying cupcakes out of ATMS - living my best life in Nashville lol. I continued the treat yo' self mentality while wandering around the rest of 12 South Street - there were a bunch of cute little boutique shops and I ended up buying a new dress that I think I'm going to wear for Thanksgiving this year! It was $65 which is more than I normally spend on a dress but I kind of wanted a souvenir BESIDES WINE to bring home with me hah so I'm glad I got it. Dress from Charming Charlies and hard to see but I'm wearing my DIY Beaded Tassel Earrings! After my shopping and eating escapades I met back up with my boyfriend at the hotel when he finished work and it was time to head downtown to check out the HONKY TONKS!!! There is a strip in downtown Nashville with literally tons of different bars/restaurants/honky tonks that you can just walk up and down and wander in and out of various places. 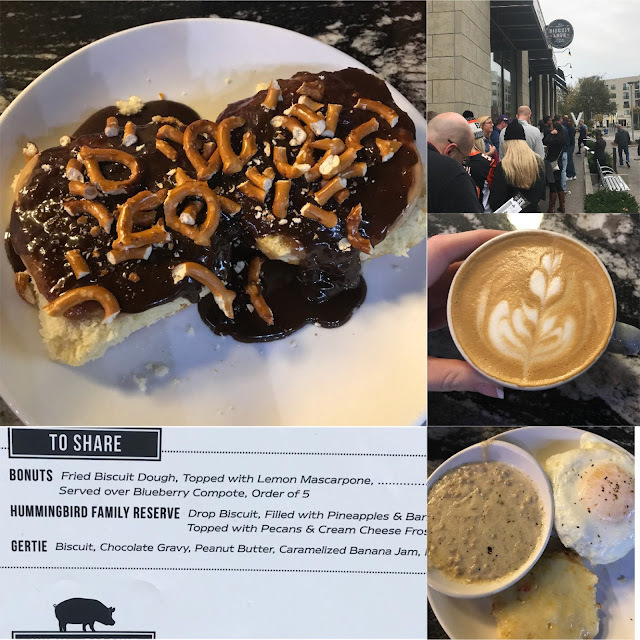 We started at the end of the street by the river at Acme Feed and Seed which so many people recommended...but I have to say I was really not impressed! It is a cool building with four different levels including a roof top bar with beautiful views of the river but it was COLD when we visited so it was not too much fun to hang out up there. Maybe it's better in the summer or a little later on in the evening: we got there at about 4PM so it was pretty early still. The BEST place we visited Friday night was The Whisky Bent Saloon mostly because they had an AMAZING band playing. 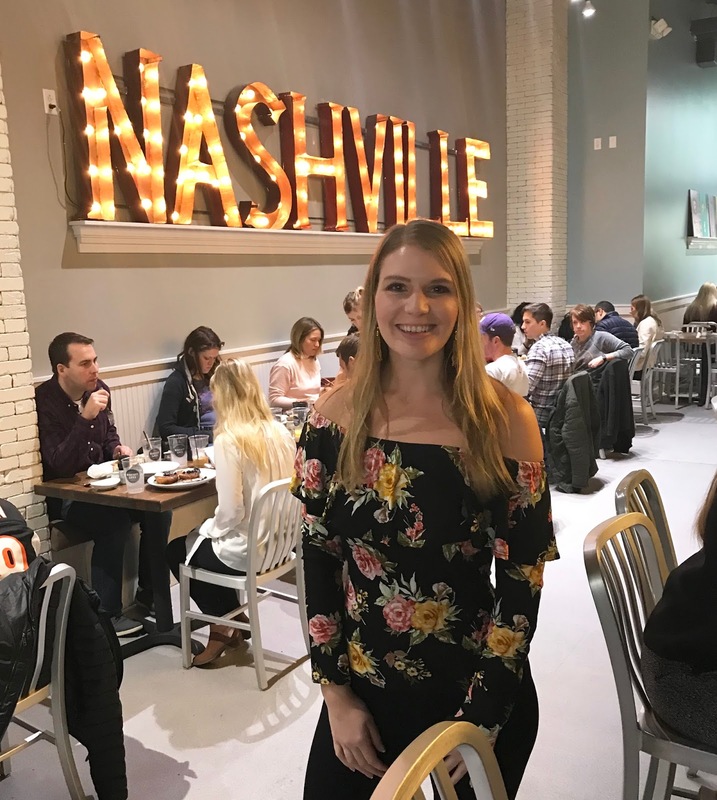 That's the best part of Nashville - there is live music EVERYWHERE and I love country music so we had so much fun just hanging out and listening to the bands play. 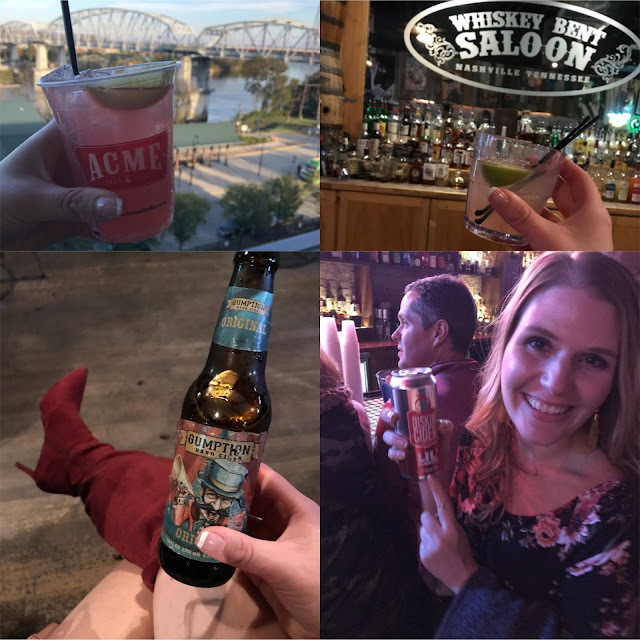 We had fun at the Honky Tonks and wandered in and out of a few places (definitely check out Honky Tonk Central but I would skip going back to Paradise Trailer Park Resort where we got some very mediocre food for dinner. 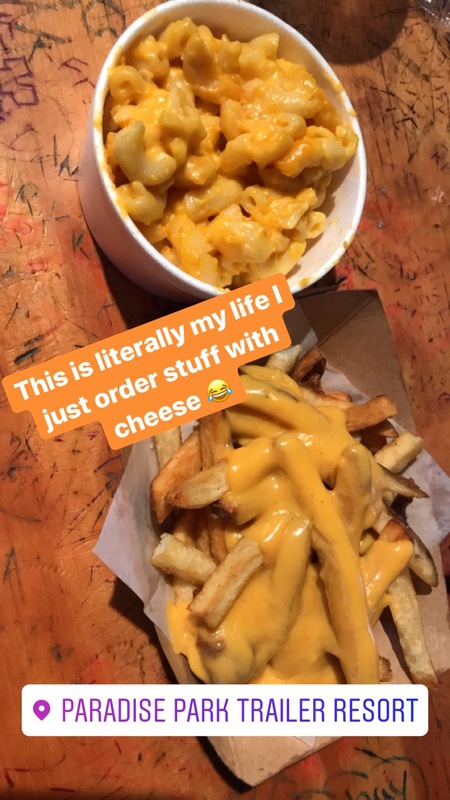 Granted, this may be partly my fault because I literally only ordered things with cheese on it for dinner, Hah! See below) before ending up at Tootsies at the end of the night where I have no shame in admitting that at 8:30PM when it started to get SO BUSY (it was a Friday night) we decided to stay "cya later" and ubered back to our hotel for an early bedtime. I think the downtown area of Nashville is busy every night of the week, but beware if you go on a Friday or Saturday it will get PACKED! After such an early bedtime on Friday we literally woke up at 5AM Saturday morning. Even on vacation I just cannot sleep in anymore. We googled a few places to figure out where to go and get coffee but practically NO WHERE opened until 7AM. 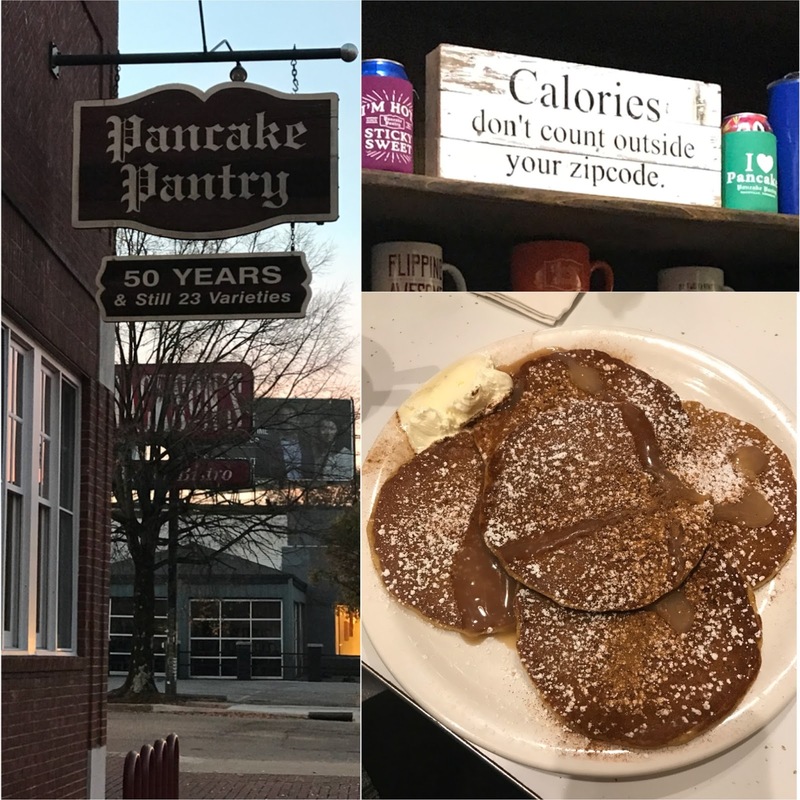 I remember someone on my Instagram recommended I check out the Pancake Pantry while on my trip though and SCORE - they opened at 6am so we threw on some clothes and headed out to walk the 25 minutes from our hotel to get some food. After our breakfast we walked back to the hotel...and promptly took a nap haha. Food coma! 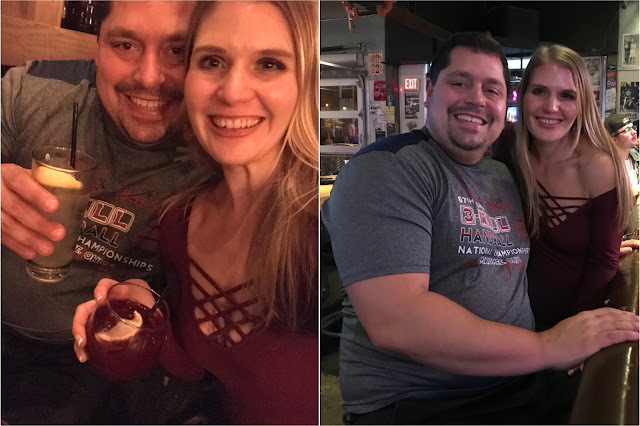 But after we were rested we took a longer uber ride to go check out the newest Life Time Fitness that was just opened in the city of Franklin outside of Nashville! 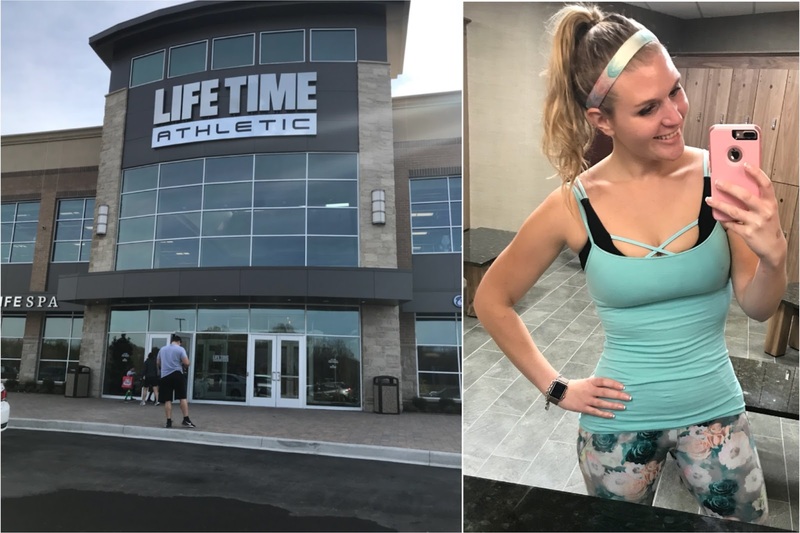 We belong to Life Time Fitness in King of Prussia which is close to wear I live in PA and it just so happened that the very weekend I decide to visit Nashville was the same weekend of the grand opening of this new Life Time location! Saturday mornings at home are almost always gym date days for my boyfriend and I so it was kind of fun to stick to our routine and check out the newest location of lifetime at the same time. I did an extra long workout on the stairmaster: that cardio was SO needed after all the eating I had been doing and it felt good to work up a sweat! We grabbed a quick lunch at the gym after our workout (yes, our gym is that cool that it actually has a cafe inside of it. AND a salon and spa!) and then took another 20 minute uber ride over to Arrington Vineyards. This stop was one of my favorite parts of the whole trip! We paid to do a tasting of 8 of their different wines and then just bought some wine to sit and relax with while enjoying the beautiful scenery. I made my own little concoction of mixing their raspberry wine with their sparkling wine - um SUCH A GOOD IDEA! 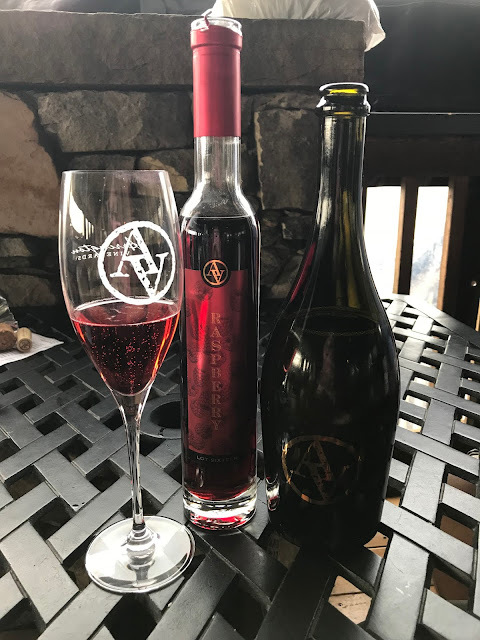 The raspberry wine was very sweet so the sparkling toned it down a bit and added some carbonation: the perfect wine to sit and day drink with. The winery was actually founded by country music star Kix Brook of Brooks & Dunn and is set in such a beautiful location in Tennessee: the views were just amazing! 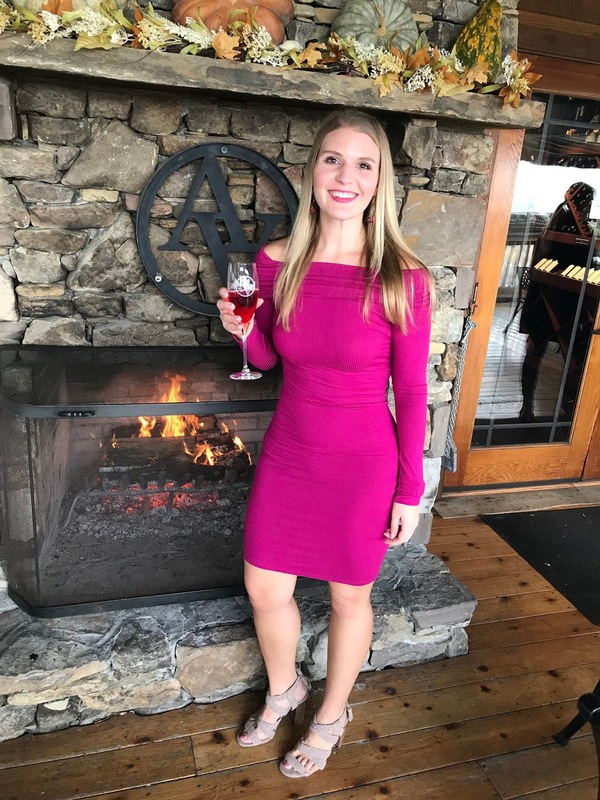 We spent a few hours here just kicking back and relaxing and drinking some yummy wine: this is a MUST DO for any wine lover visiting Nashville area! Our flight didn't leave until later on Sunday so we killed some time back at the hotel and then walked around the downtown area just a little more - we stopped in at The Stage and Tootsies to hear a little more live music until it was time to head to the airport and then back home to PA.
What a FUN trip!!! Four days was the perfect length. I had plenty of time to see and do all the major things on my bucket list and it was short enough that I didn't feel bad about how much I was splurging on my diet while exploring the new city. If you ever have the chance, I'm sure you would just love visiting this city as well! Everyone I ran into was so friendly and kind, I really had no bad experiences the entire trip and I'm so glad I went. While I'm currently writing this on Saturday afternoon where I've enjoyed being home all day with no plans and nothing major to do...typing up this recap sure has given me the travel bug again! Where have you traveled to for a short trip and had a great experience with? I think I should start planning my next adventure!